Whenever any type of glass is dropped on the floor and shattered into several pieces, it is inevitable that you will not be able to get every piece of glass off the floor. Therefore, at some point either shortly after breaking a glass or maybe a few days or even weeks later, someone will end up walking over a broken piece of glass and end up with a shard in their foot. Once you have a shard of glass in your foot, it can be incredibly painful and incredibly difficult to get it out. With each step, the glass will push deeper and deeper under the skin and you will experience an excruciating shot of pain. It stands to reason that you will, therefore, want to get the shard of glass out of from under your skin as soon as possible. Not to mention that you have an increased risk of infection the longer you have a foreign under your skin. If you have a shard of glass stuck in your foot and are having difficulty getting it out, check out these tips for how to get glass out of your foot. The first step is to try to use tweezers (preferably splinter tweezers or ingrown hair tweezers) to try to get the shard out of your foot. 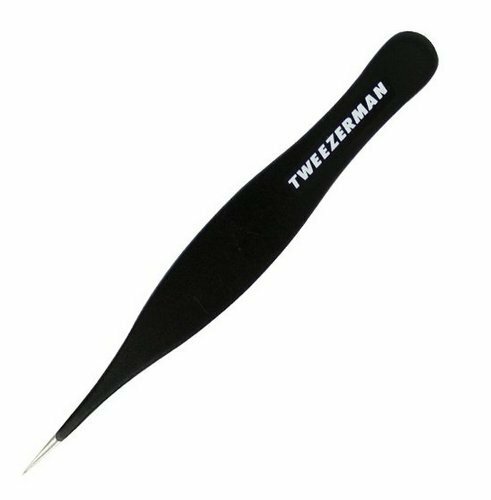 Tweezers are most effective if the piece of glass is still sticking out of the foot. You can just use tweezers to grip the shard and pull the glass right out of your foot. If the glass is just under the skin, you can use a needle to pick away at some of the skin in order to clear a path to remove the glass with tweezers. Before trying either of the steps above, be sure to sterilize both the tweezers and needle with rubbing alcohol. It is also a good idea to clean them after you have removed the glass as there may be blood or germs from your feet on the tweezers or needle. 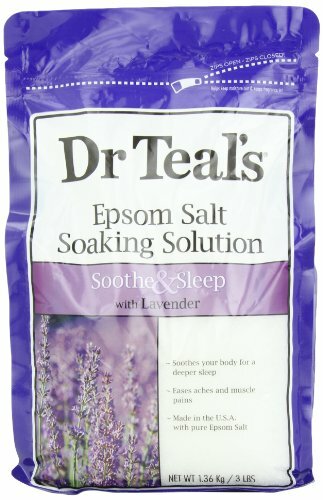 If the glass shard travels too deep under your skin so that you are unable to get it out from under your skin using tweezers or a needle, you should next try soaking your foot in a bath of warm to hot bath water with salt. The hot salt water will help to draw the glass out of your foot. Soaking your foot in the salt water will also help to soften the skin and make it easier to remove foreign objects under the skin. The salt water will also clean the wound and help relieve some of the pain caused by the injury. After soaking your foot, try the method of removing the glass with tweezers again. 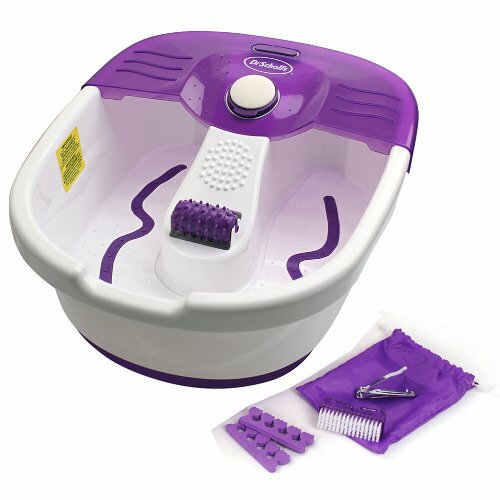 If you have no luck with the tweezers, continue soaking your foot in the warm salt water and try again. As an alternative to using tweezers, you can try using nail clippers to grasp the piece of glass and pull it out. 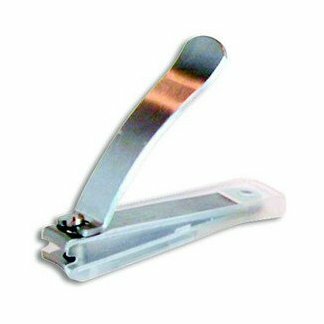 You may find that you prefer nail clippers over tweezers as you may be able to get a better grip with nail clippers and you may find the shape of the nail clippers more ergonimic than tweezers. Once again, be sure to sterilize the nail clippers with rubbing alcohol before using them to remove anything from under your skin. If you have found no luck trying to pull out the glass out with tweezers or a nail clipper and it won't come out naturally after soaking your feet in the warm salt water, you can try getting it out by means of suction. Take a glass bottle--either a beer bottle or old fashioned soda bottle--and insert the mouth of the bottle into a pot of boiling water. Allow the bottle to get as hot to the touch as your skin can stand. Then, place the mouth of the bottle while it is still hot over the area where the glass is embedded under the skin. Repeat this step several times and it will draw the glass out from under through suction. If you soak your foot in the salt water bath prior to trying the glass bottle suction method, you will soften the skin and make the process of extracting the glass much easier. In addition to the glass bottle method of suction, there is another method for removing shards of glass from feet by using suction and it involves the use of a plastic soda bottle. Fill a sink or basin with water. Place a 2 liter plastic soda bottle, which has been cut in half horizontally, into the water and submerge the bottle 3/4 of the way with the spout of the bottle at the top. Place the area of your foot that contains the glass over the spout of the bottle. Simultaneously raise your foot and the bottle with the spout still over the skin where the shard of glass is embedded. The suction created by the water rushing out of the bottle thanks to gravity should pull out any foreign objects under the skin. Another method for extracting glass stuck under your skin is to coat the skin with Elmer's Glue (or a similar generic/non-name brand glue). Let the glue sit for 20 to 30 minutes or until it is dry. Once the glue has dried, peel it off of your skin. The glass should stick to the glue and be trapped in the glue that you peel off. As you peel the glue off of your skin, it will pull the shard out with it. If not of the above steps work, it is time to head to the doctor to get the shard of glass removed by a professional. A doctor will have the correct tools and the ability to get better visualization with lighs and magnifying glass which will allow the doctor to successfully remove the shard of glass from your foot. A doctor will also ensure that all tools used are properly sterilized so that you are not at risk of an infection.